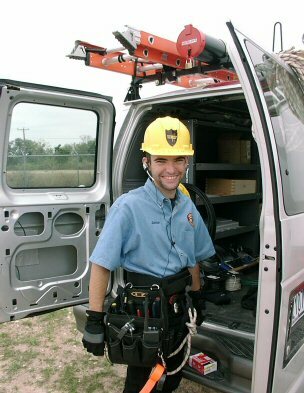 Anvil’s Wireless Internet Service comes to you through our extensive tower and radio network in central Texas. The technology uses line-of-sight microwave radio waves to communicate between our towers and a radio/antenna installed at your location. The antenna is wired to a wall plate which provides you with convenient access to the internet 24/7. Your computer can plug directly into the wall plate, or you can use a wired or wireless router for extra security and/or to share your Internet service with other computers and devices you may have. We are happy to answer any other technical questions you may have during your free site survey. To request service, either complete this form and submit it electronically or call (512) 847-1180 and ask for techncial support.